Somewhere on the web is a copy of all the video segments of The Compleat Beatles. I looked for one today but struck out. The reason I want one is for a pivotal scene when George Martin describes how he and Geoff Emerick arrived at the construction of the backing tracks for “Being for the Benefit of Mr. Kite”. Here’s a very similar text version of the same story. I knew we needed a backwash, a general mush of sound, like if you go to a fairground, shut your eyes and listen: rifle shots, hurdy-gurdy noises, people shouting and - way in the distance - just a tremendous chaotic sound. So I got hold of old calliope tapes, playing ‘Stars and Stripes Forever’ and other Sousa marches, chopped the tapes up into small sections and had Geoff Emerick throw them up in the air, re-assembling them at random. 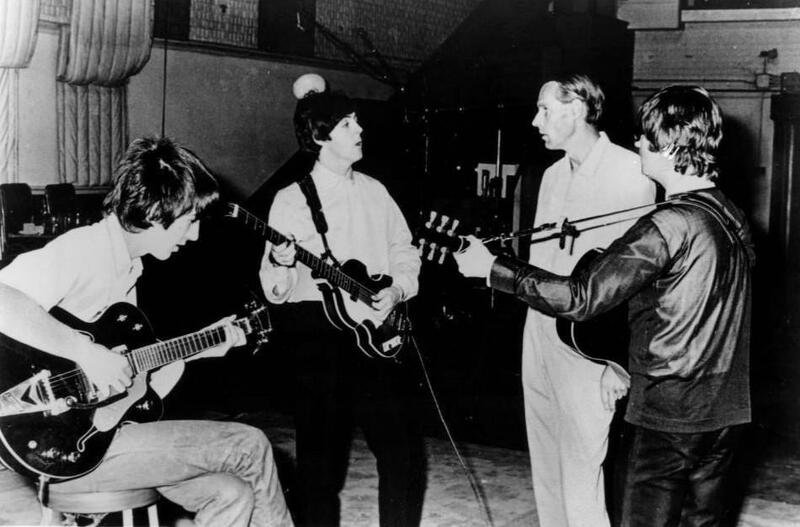 That video is unfindable right now, but when I saw it in the 80s on a VHS tape, it cemented my love for George Martin. This was the guy who was the spark behind the “Mr. Kite” sound effects, the string arranger for “Yesterday” and “Eleanor Rigby”, and figured out how to glue together the mismatched takes of “Strawberry Fields Forever” in a way that complemented both of them. Sgt. Pepper was always my favorite Beatles album. I know that Revolver or Rubber Soul probably have a larger number of great songs on them, but Sgt. Pepper was imprinted on me at a young age, and as a pioneering work of sound-art, it’s flawless. What a legacy to leave to the world.